Recently, there has been a steady stream of children making their way to school at the start of yet another new term. New uniforms, new schoolbags, bright young faces. I don’t envy them, though. But I do like the feeling of the ‘new start’ that arrives with each September. There is an optimism that goes with memories of brand new books, blank pages, the possibility of putting right the mistakes of the past. That’s why I like autumn. It’s a positive time of year: a leafy bridge between the summer and whatever lies ahead in winter. A couple of weeks back, the Italian Cultural Institute hosted an event with John Banville and Claudio Magris, moderated by Ursula Fanning. They were to discuss ‘Danube and Other Rivers’ – a reference to Claudio Magris’s book about the Danube, published 32 years ago, but really, being in the audience was like eavesdropping on a conversation between two old, affectionate – and sometimes cranky – friends. 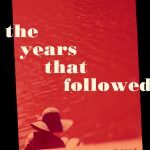 They wandered happily through a wide range of topics: reliving the time they spent together all those years ago, as they followed the course of the Danube. They discussed what it means to be European in these dark days, what it feels like to travel without a destination in mind, and how identity needs to be plural, and ‘not monolithic’. Three days later, it was gone. They quoted Gramsci in the course of their conversation: that we may be ‘pessimistic with reason’ but we must be ‘optimistic through will’. They agreed that ‘history needs stories, novels’, as a way of understanding ourselves and others, as a means of reflection. They agreed that ‘culture is a kind of freedom’. It was a very good start to my new term. And September promises all sorts of goodies. On the 18th, I have the real pleasure of launching three new books published by Arlen House. 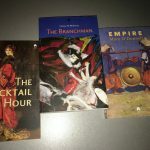 ‘The Cocktail Hour’ by Sophia Hillan, ‘Empire’ by Mary O’Donnell, and ‘The Branchman’ by Nessa O’Mahony. The launch will take place at the Irish Writers’ Centre at 6.30 on Tuesday 18th. All welcome. 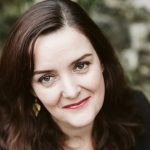 The Bray Literary Festival kicks off in grand style this year on Culture Night, 21st September. The following weekend sees the Festival’s several events taking place over Saturday 29th and Sunday 30th. There is something for everyone: Literary Lectures, Crime Writing, Wicklow Voices, Northern Voices, and Lit Fix, when I’ll be sharing the stage with the terrific Neil Hegarty. Another date for the diary is Saturday 6th October, when the second ‘Echoes’ Festival takes place. ‘Echoes’ is dedicated to the life and work of Maeve Binchy, and will take place in Dalkey Castle and Heritage Centre. Among the many topics to be discussed on the day is emigration, and there will be a reading of Maeve’s play ‘Deeply Regretted By…’ which looks at the experience of Irish immigrants in Kilburn. Afterwards, I’ll be in conversation with Sean Rocks, and we’ll be exploring my social history ‘An Unconsidered People’ which charts the experiences of those who left this country in the dismal fifties. The Festival celebrates the work of Maeve and many other Irish writers. It promises to be a lively and entertaining day and I’m looking forward to it immensely. This autumn also sees me involved in some forward planning. Next year, I’ll be taking part in the San Patrizio Livorno Festival in March of 2019. 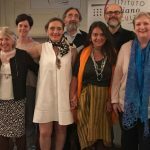 This is a festival dedicated to Irish writing, held in the lovely coastal town of Livorno in Tuscany – on St Patrick’s Weekend, of course! 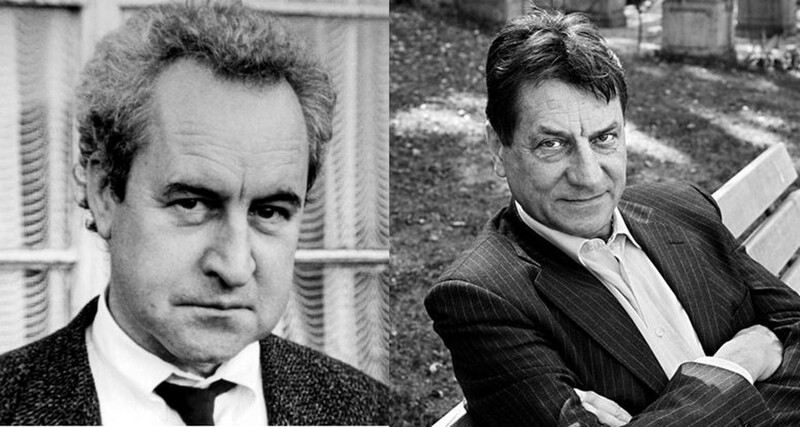 Taking part also will be John Banville, aka Benjamin Black, and the Italian crime writer, Marco Vichi. I’ll be interviewing these two multi-award-winning writers as part of the festival. We’ll be discussing their exploration of the darker aspects of humanity, the creation of their police inspector characters, and the fascination that we all have with what drives people to commit crime. The San Patrizio Livorno Festival will take place in the quirky and welcoming space of the Ex-Cinema Aurora in Livorno. 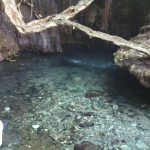 I’m looking forward to going back there. So – the brand new term begins. It looks like being a busy and productive one – just the way I like it.